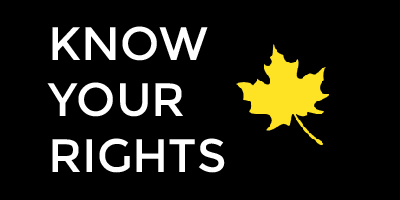 Now you can learn your rights in Canada and do more – you can carry, wear and share them! 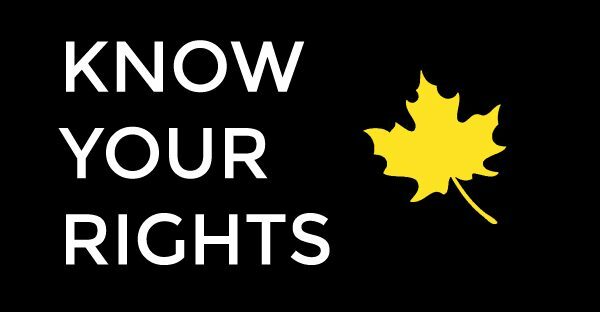 PEN created 4 innovative tools to help Canadians understand their rights when dealing with authorities. These guides are essential for all socially engaged Canadians, activists, journalists and change makers. 1. Can police search my phone? – If you’re being arrested, legally, police can search your phone with certain limitations. But you don’t have to give them your password. Keep all the information about your phone privacy rights on hand: Learn more and download your phone wallpaper guide. 2. Is taking photos/videos of police actions a crime? – In Canada, you can take photos/recordings in public places (or on private property that’s open to the public, except where prohibited by signs). This includes capturing the actions of police officers. The police cannot stop you, confiscate your device or make you delete images. Store or print this handy pocket guide. Learn more. 3. Can I be arrested for protesting? – You have the right to demonstrate peacefully and to share your opinion – and this t-shirt artwork lets everyone around you know your rights and theirs, from the front and back! (Also can be printed as a sign.) Order shirt from teespring or download the artwork and print yourself. – Learn more, like when and why the police can arrest you during a demonstration. 4. Can I send books to prisoners? – In Canada, prisoners have the right to read books. Too often, books are withheld by uncertain correctional officers. Affix this mailing label outlining prisoners’ right to read to your next shipment or donation of books. Read more.